Baking homemade yeast bread is one of the most relaxing and satisfying things for me in the kitchen. I love the smell of the yeasted dough, how it feels in my hands while I knead it, seeing it raise, watching it puff in the oven, and then slicing through a crust, through a wonderful crumb, and taking that first warm bite. I love everything about the process, and could easily eat all of these over and over again. 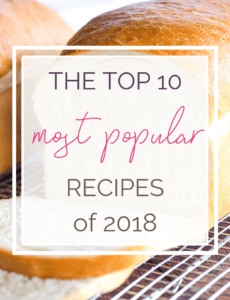 Below is an updated list of my 10 favorite bread recipes… Enjoy! 4. Bagels – Bagels are one of my all-time favorite treats to make at home. 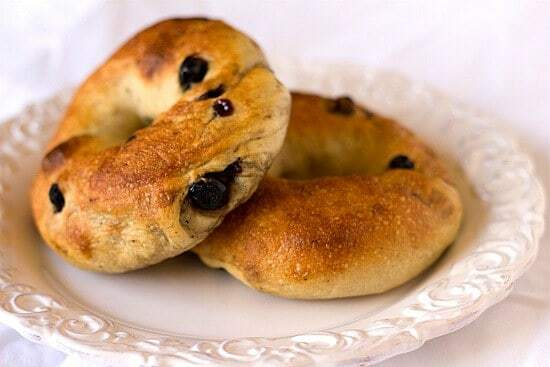 To date, I have made plain bagels, blueberry bagels (pictured below), cinnamon-raisin bagels, Asiago bagels and everything bagels. What’s your favorite bread recipe?? Hi Dolores, Yes you can use a dough hook without an issue. How do I make bread with a very fine crumb? When I’ve made bread the crumb is too large. I find it hard to have a good meal without a fresh crusty bread. Oh my god! 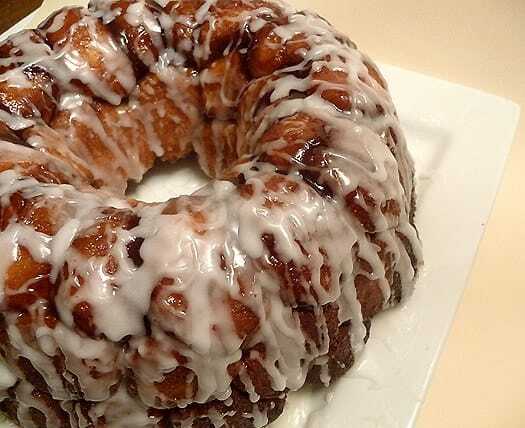 The Monkey bread is to die for!! Thanks. 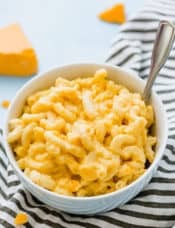 Have been searching for a recipe from my childhood. It was called Pie Cut. 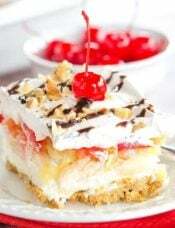 The sweet version of yeast dough was spread in a cookie sheet, spread with cherry pie filling and covered with another thin layer of the same dough. 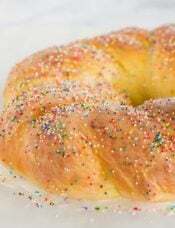 Baked and cooked, then frosted with a powered sugar glaze. Cut into squares, for serving. I always remember the little packets of yeast to make the dough. 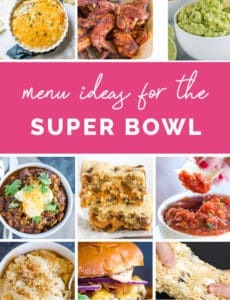 I want to make this, but cannot find anything close to it. Unable to find. Can you help? Hi Annie, I’ve never heard of this but it sounds amazing!! 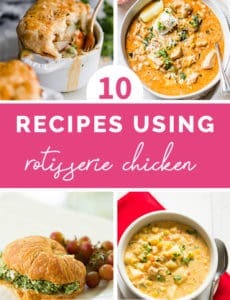 If I find a similar recipe I’ll be sure to share it! Thank you so much!! LOVE your website!! 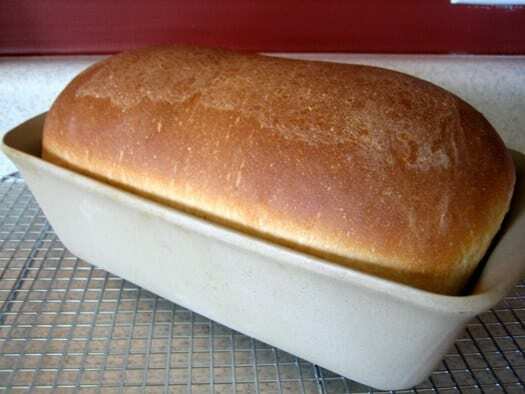 I have already made your whole wheat bread and today made the white bread – so delicious!! Your instructions are so easy to follow!! I feel better feeding my family home made food rather than factory made!! 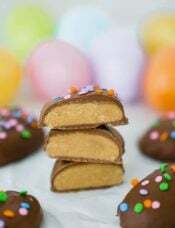 Yummy, what a great recipe. been looking for decent bread making recipe. Thanks for sharing. 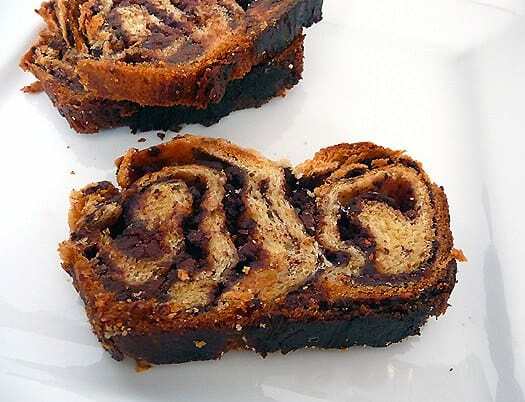 I like Chocolate Babka. Because i never taste with chocolate. I like a lot breads. Thanks for sharing. Making pizza using bread can be a good idea as it is loved by kids and other people. Wow! The breads look awesome! 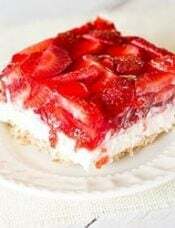 Thanks for sharing this wonderful recipe with us. nothing warms my heart like homemade bread! My mom always made rolls for Sunday dinner and her recipe is a favorite. 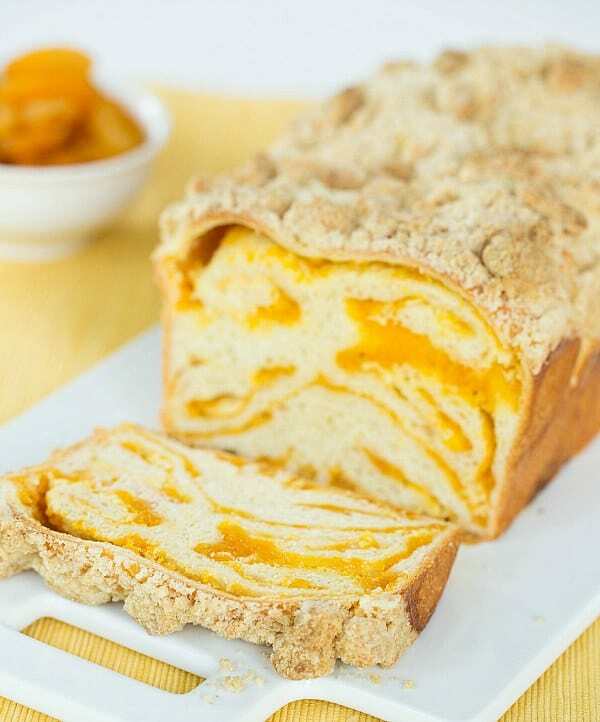 For a quick bread your Bacon, Cheddar Beer bread is a serious go-to. 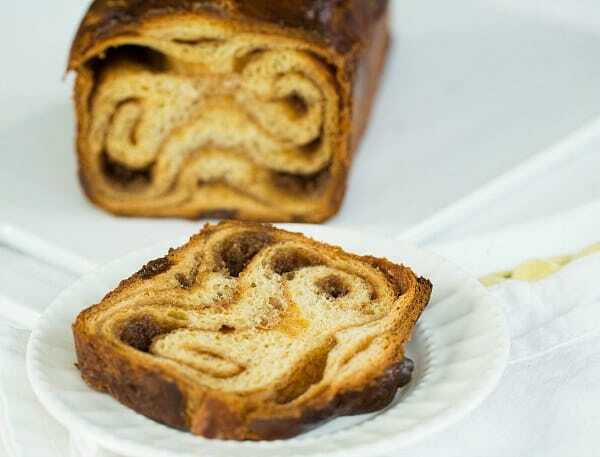 Will have to try the chocolate and cinnamon babkas! I love baking bread too!! There is something so fun about watching it rise, you feel so accomplished! I recently made my first pull apart bread, it was fun to make and so delicious!! 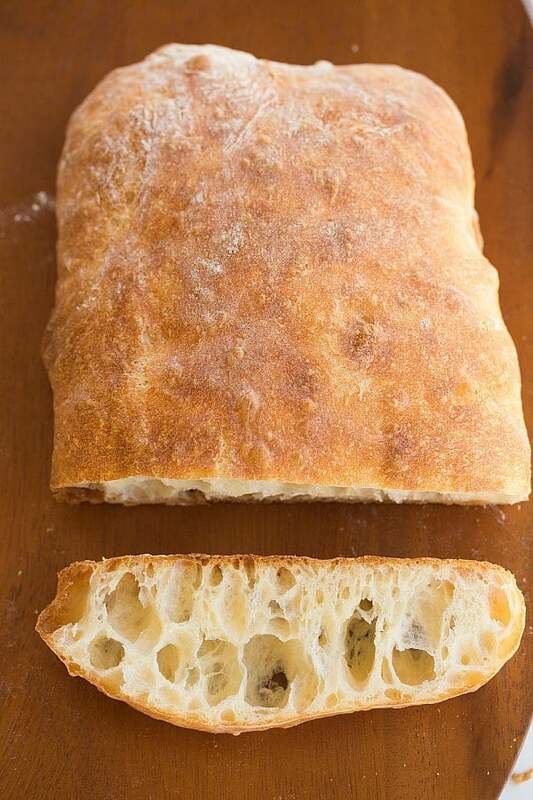 Ciabatta bread is the best kind of bread ever!! I recommend everyone to try it out, if you don’t you’re missing out! 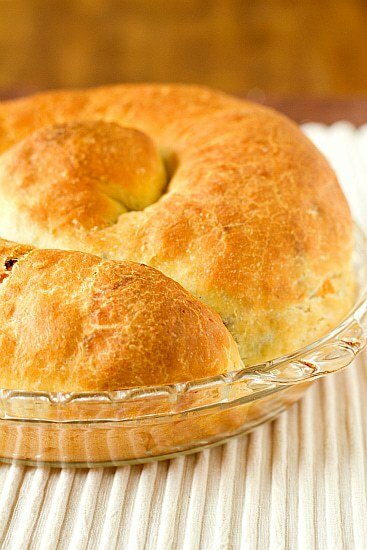 The bacon and cheese bread looks delicious too! I want to try them all-even the ones I am not sure I will like because you never know. 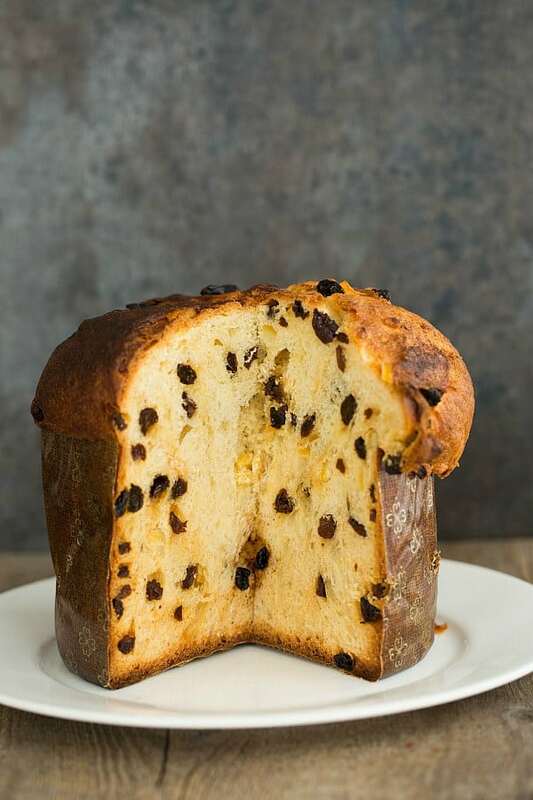 I didn’t think panettone would be my thing until I tried it and now…it’s my thing. Are you still working on a sourdough recipe? I LOVE sourdough bread, and I know that you have been testing several starters. Hi McKenzie, I tried multiple ones last fall to no avail and haven’t had the opportunity to re-start the search since I had the baby, but I plan to work on it this summer/fall, so stay tuned! My favorite bread recipe is a French bread I found on allrecipes.com, it produces 2 beautiful loaves of crusty outside smooth chewy inside every time! My family says it tastes like fresh from the bakery bread! These look amazing! 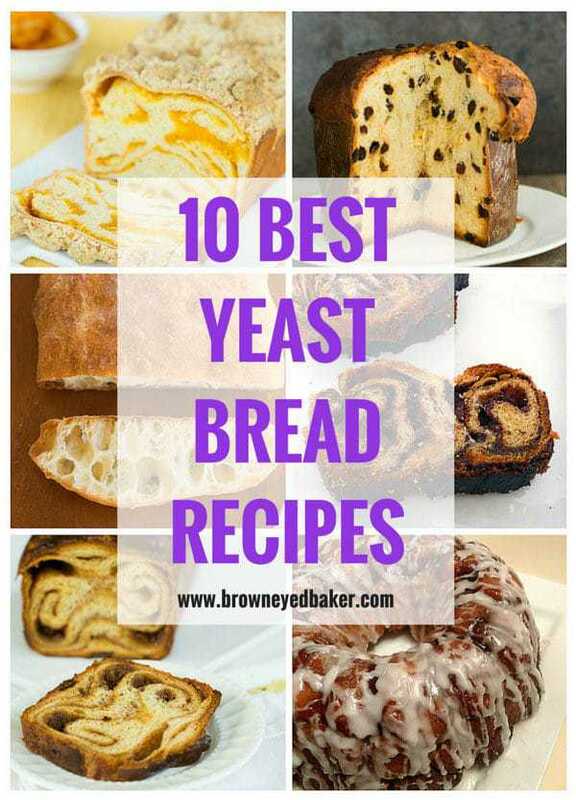 I love making breads, so these are good ideas for new projects. 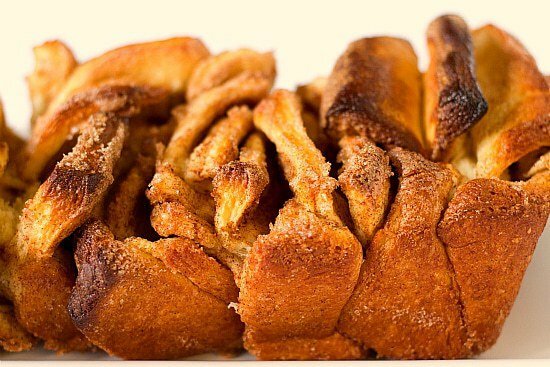 I love cinnamon swirl bread. It looks like the perfect holiday treat! I know this technically isn’t “bread” but it is a yeasted dough. Your cream cheese cinnamon rolls are a favorite in our house. It’ gets requested for almost every special occasion! hi… my first tym home made brad was a hit…thnx to u beb. 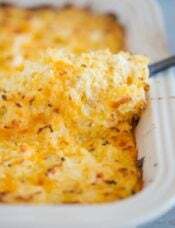 Terrific recipes here… For fun I made a sauerkraut bread and liked it A LOT..so did my neighbours.Now one of my favorites…And it does NOT taste sauerkrauty…Bit of a tang,great texture,moisture and taste. Hello! Our Fair Trade Women’s economic empowerment project loves this blog and your recipes! We just posted your “10 best bread recipes” on our blog today featuring our beautiful hand-sewn aprons and our wooden spoons…we’ll look forward to posting more on our “Fair Food Fridays” series. Do you have any recipes made from all organic foods? Thanks!